Here at Streamroot we always push for more. While our serverless CDN solution delivered up to 1.26 Tbps during World Cup 2018 (that’s 5% of Akamai’s peak traffic), we’re striving to reach new heights every day. 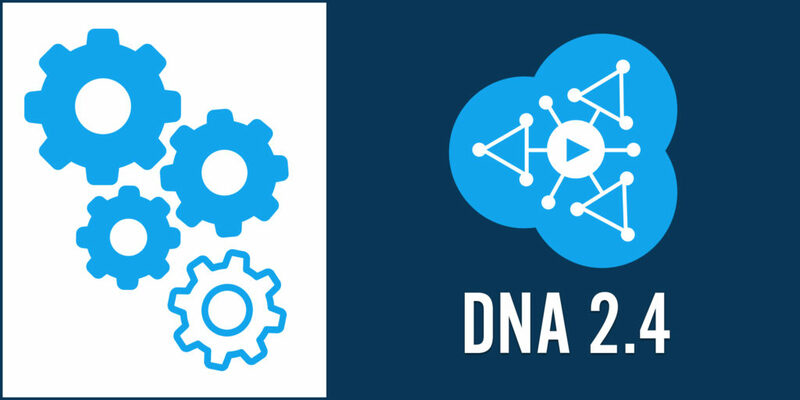 We’re therefore excited to share with you Streamroot DNA™ 2.4, with improved offload efficiency, additional features and player compatibilities. Streamroot DNA™ 2.4 includes two improvements to Device-Adaptive Configuration, the unique mechanism that allows us to customize delivery to each and every device based on real-time individual performance data. Not all hardware, infrastructures and ISPs are alike, and not all peers can equally contribute to the delivery network. Our first improvement concerns exactly that: our new algorithm more precisely analyses and computes devices’ upload capacity to effectively balance resources within the mesh network, based on a variety of variables and users’ internet connection quality. Secondly, our Global Queue Management includes a new scheduling algorithm that optimizes the size and order of video chunks requested from the mesh network. This makes connections more resilient, generating global offload gains of up to 3%, with even greater gains on high bitrate profiles and in areas with greatly varying throughputs. Akamai Adaptive Media Player – Providing content publishers a simplified approach, Akamai’s Adaptive Media Player makes it easier and faster to deploy advanced video delivery and quality techniques. We’re happy to share that Streamroot delivery technology is now plug-and-play compatible with Adaptive Media Player, allowing Akamai customers to easily integrate Streamroot DNA™ into their workflows and harness the benefits of peer-accelerated delivery. For more information, see our documentation. Comcast MPX Video Management System – Trusted by the world’s largest broadcasters, Comcast’s SaaS-based video content management system provides end-to-end automated publishing and distribution capabilities from ingest to analytics. Streamroot DNA™ is now fully compatible with Comcast MPX, and can be easily set up from the MPX dashboard, making distributed delivery more accessible than ever for Comcast customers. For more information, head to our MPX documentation. Kaltura Player – Offering ease of customization and feature integration, as well as multi-platform support, Kaltura Player provides a robust yet flexible solution for content owners. We’re pleased to report that Streamroot DNA™ is now compatible with Kaltura Player and can be directly integrated via the Kaltura portal. More details about our Kaltura Player integration can be found here. Youbora enhanced integration – Our partnership with Nice People at Work goes way back. Their flagship solution, Youbora, is a holistic suite of integrated video analytics for broadcasters, telcos and media companies. Today, Youbora includes Streamroot DNA™ stats for all Streamroot enabled devices, including iOS and Android. Our data now includes dedicated support information, allowing early detection of misconfiguration-related issues. This improved monitoring enables our team to identify issues in real time, and take the necessary actions. In addition, upon request, our support team can now instantly deactivate Streamroot DNA™ on a given mobile OS, SDK version or phone model from our admin backoffice. If you ever need to, in a push of a button Streamroot can be seamlessly disabled without having to release a new app version.